The most interesting thing about the Super Derby is its history. Started in 1980, it’s burst on to the scene, quickly becoming a Grade I and a very important race in the 3-YO season. But now, 34 years later,it no longer holds this position, which is now occupied by the $1M Pennsylvania Derby in 2 weeks. It’s still an important 9 furlong race for second-level 3-YO’s and offers a very decent purse of $400,000. 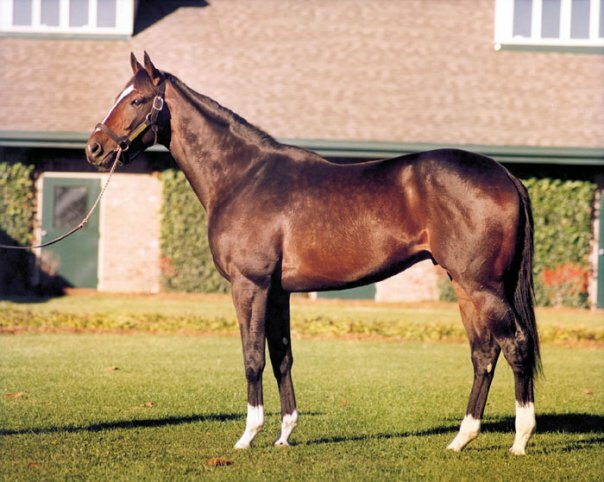 Instead of a prep for the Breeders’ Cup (think Tiznow in 2000, pictured above), it’s now a race in line with other mid-level track derbies, such as the Iowa Derby, Ohio Derby, West Virginia Derby, Indiana Derby, and Oklahoma Derby. It’s unsurprising then that the top contenders for today’s race come out of the Ohio Derby and West Virginia Derby. Despite a large field (largest in a decade for the Super Derby), on paper, it appears to be a formful race with 3 strong contenders standing above the rest, and a new shooter who might develop into something. To begin, Vicar’s in Trouble makes his third start since the Derby, after slightly disappointing efforts in Iowa and West Virginia. He’s a state-bred, so there’s more than a little big of pride involved in capturing the home state race. His main competition from the West Virginia — Candy Boy and Tapiture — isn’t here, and he very well might outclass this field. The other two main contenders — East Hall and Jessica’s Star — finished first and second in the Ohio Derby and this is a very logical next step. East Hall is a bit of a mystery — interested to see how he runs today. I’ll stay away from local horses in a race like this, and the only other horse worth mentioning is Sagamore Farm’s Victory Not Defeat, who is stepping up in class from sharp performances at Gulfstream. Haven’t seen enough, especially with stretch-out to support a bet, but I’m certainly quite interested in watching him today. This is probably just a “watch” race to get a better read on the improvement of these horses. Should be useful moving forward in the division. I’ll play Vicar’s in Trouble up top if I get 3-1 or better, but I don’t expect it. Image: Banamine, “Tiznow.” Copyright 2007.